The KX-TG6825 from Panasonic impresses with style and functionality; each handset boasts a beautifully clear 1.8” white backlit display that looks good and is easy to read, plus a range a value adding features. 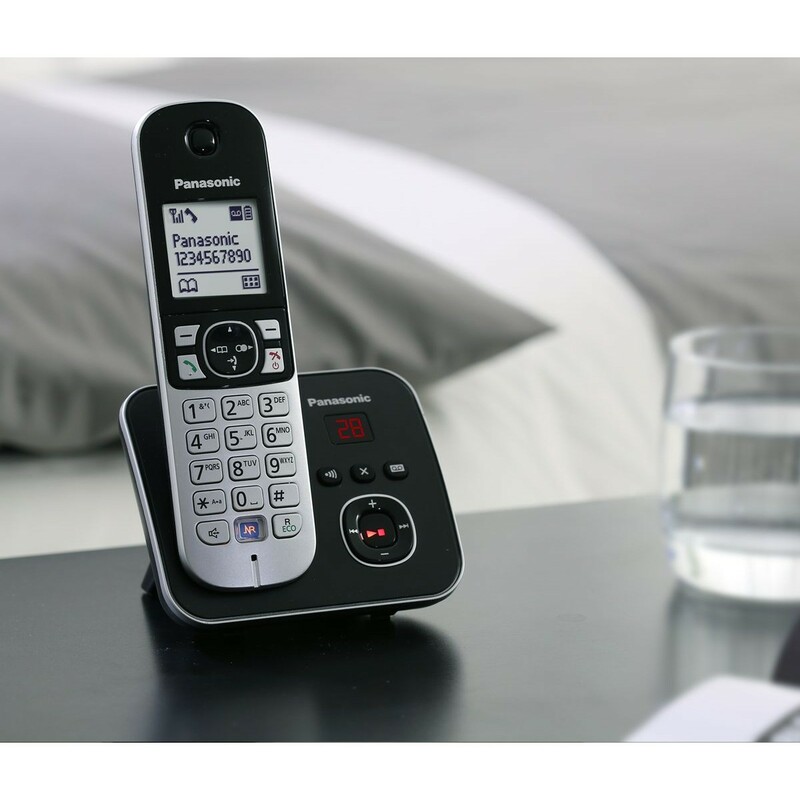 And the sleek base is more discreet than previous models with a distinctive slim-line design that takes up very little space, and benefits from a handy message counter for the integrated answering machine. 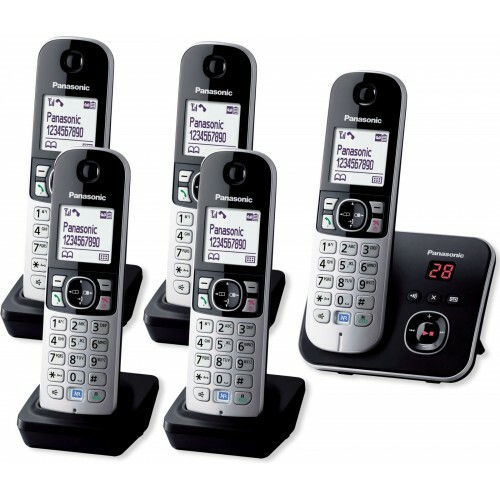 One of the best budget cordless phones available, the 6825 offers great value for money. With the KXTG6825 you can expect calls in perfect clarity free form distortions, echoes, and crackles thanks to Panasonic’s high-precision error correction system, which eliminates glitches in sound for clearer more natural sounding conversations. 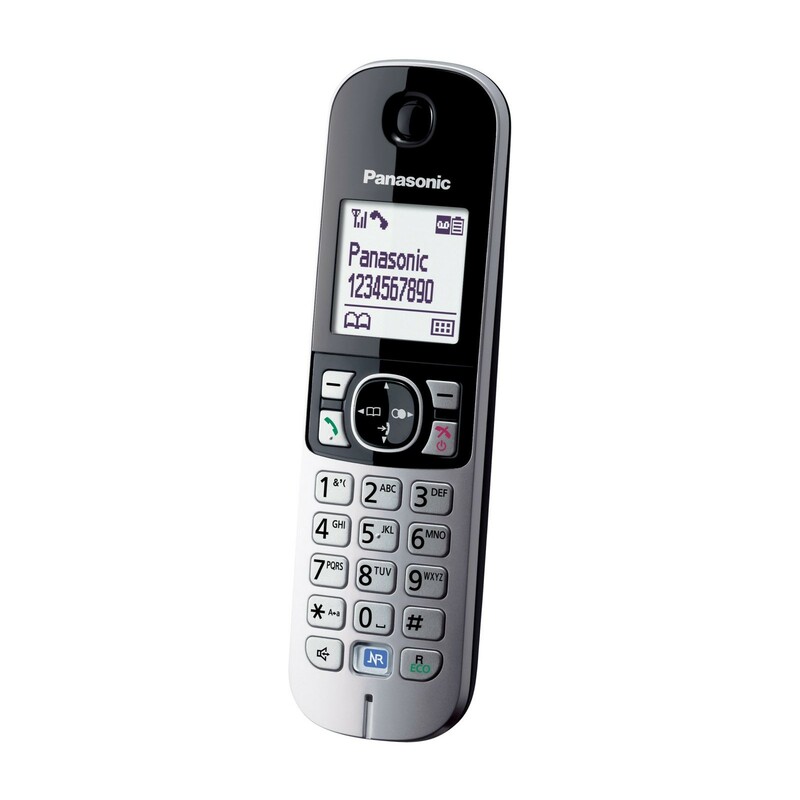 And with their innovative new Noise Reduction technology integrated, reducing up to 75% of background interference at your end, the 6825 will also make you sound clearer. There is no installation required for the Panasonic 6825; working straight out the box, simply plug the base unit into your telephone line and power socket to start making the most out of the user-friendly features. Caller display will let you see who is calling and the handset benefits from a 50 name and number call log, and a phonebook with space for up to 120 contacts for efficient call management. 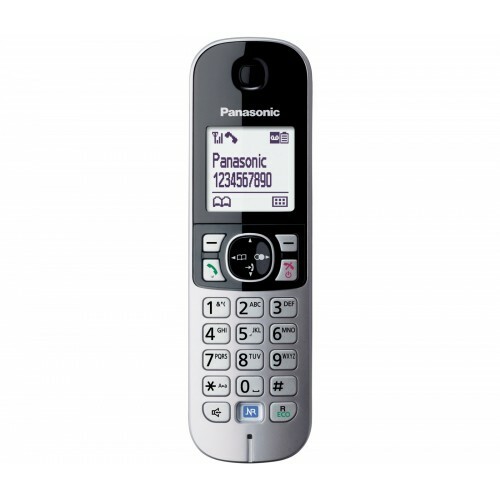 The Panasonic-KX-TG 6825 is also an energy-efficient phone that delivers up to 15 hours of reliable talktime when fully charged and 170 hours standby time, making it a dependable choice for both sporadic and busy users. 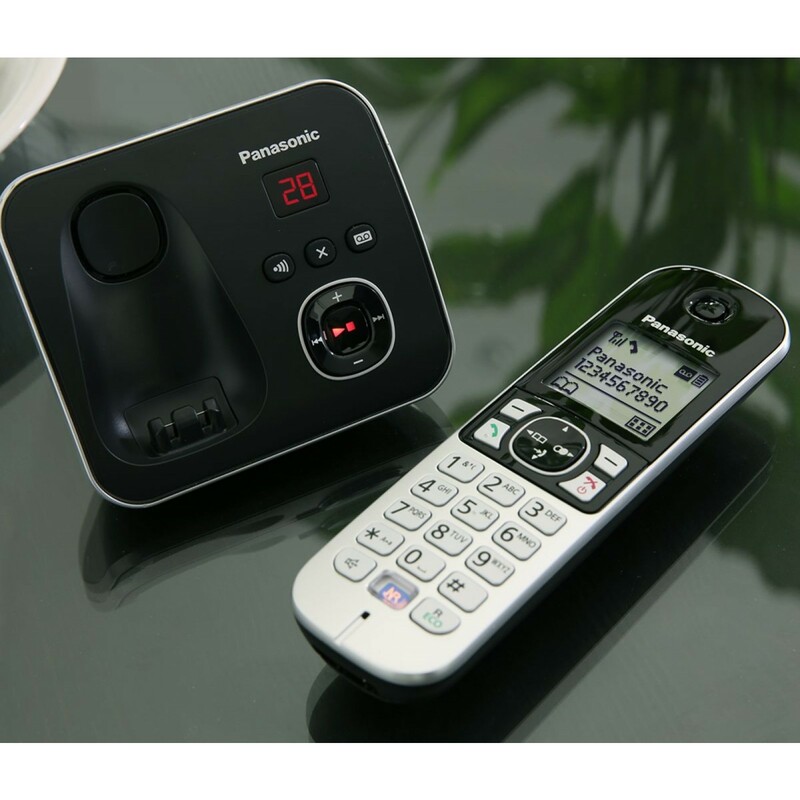 In addition to the generous recording time for up to 30 minutes of messages, the answering machine on the 6825 offers a range of useful features for you to take advantage of including a convenient LED counter. 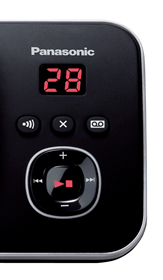 For those that like new messages to be indicated with a beep, there is an Audible Alert function, which causes the base to emit 2 beeps a minute until you listen to the message when turned on. 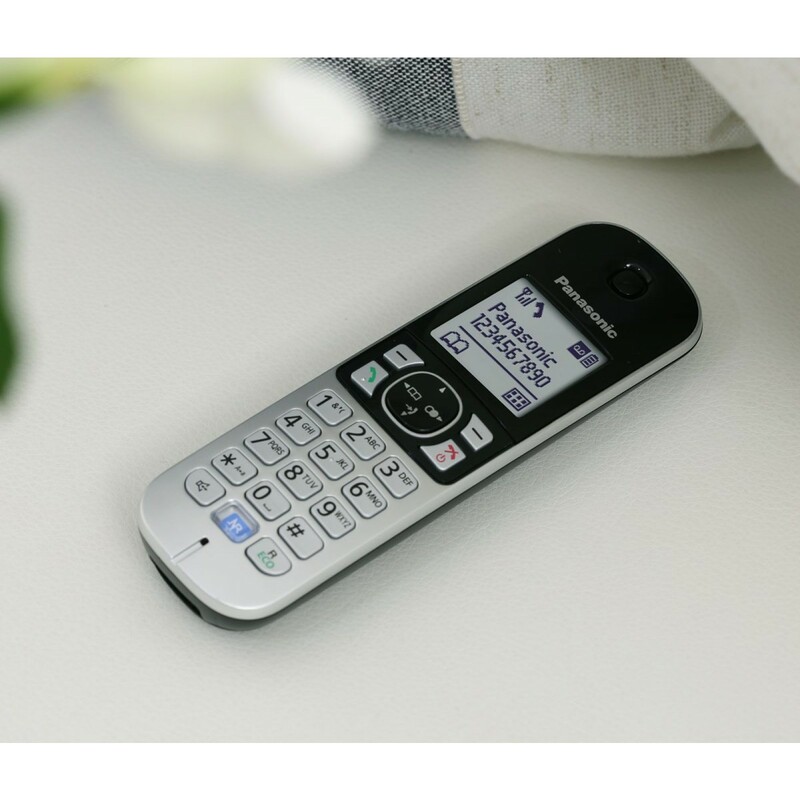 Unlike the voicemail service provided by a network, you can listen to messages as they are being recorded and pick up if it’s important with Call Screening. And for when you’re not at home, you can set the answer machine to send an audible message to a pre-stored number as notification that there is a new message, and listen to it remotely. 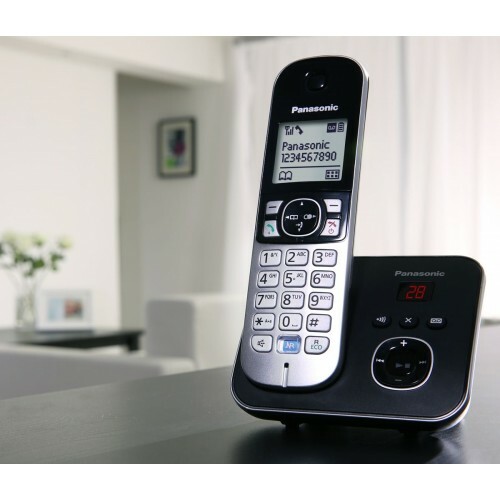 If you're looking for a quint set of easy-to-use digital cordless phones with basic yet reliable functionality; the Panasonic KX-TG6825 offers outstanding quality & value for money.